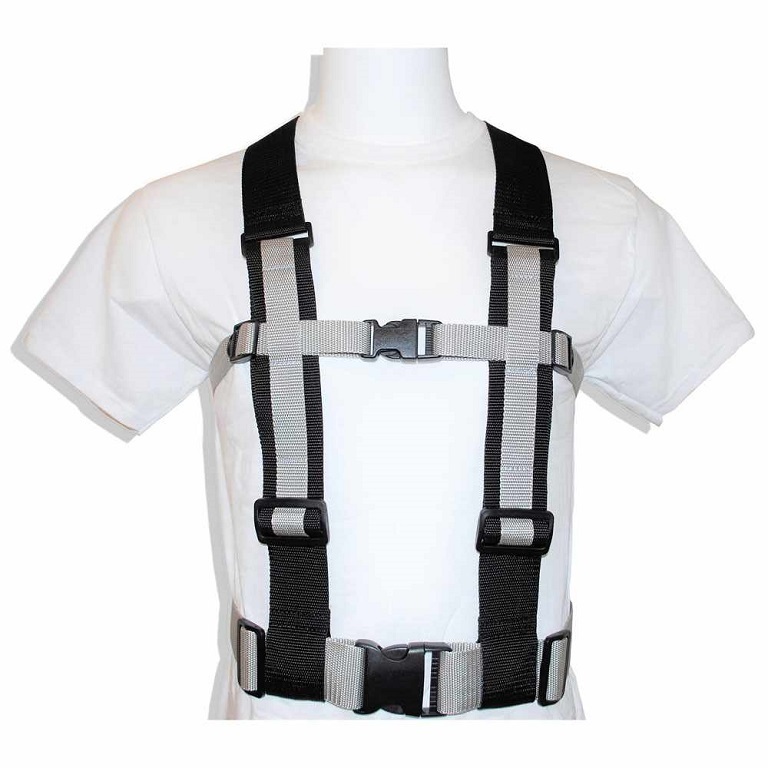 The Drop Support Harness for Boys & Girls is a unique, upper body safety device that wraps around the waist, chest and torso, with an attached central support handle. 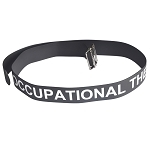 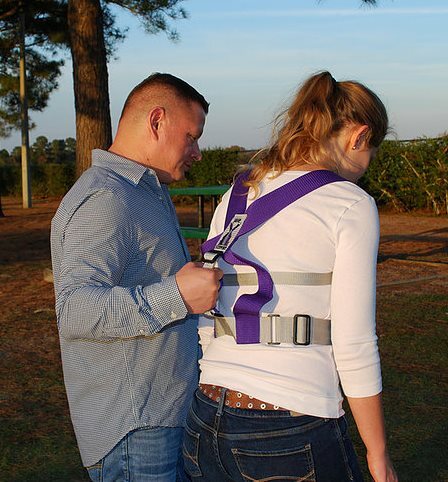 This fall prevention mobility support harness was developed for users who are at a high risk for falls due to epilepsy, seizures, during gait training and rehabilitation, or any condition when support is needed. 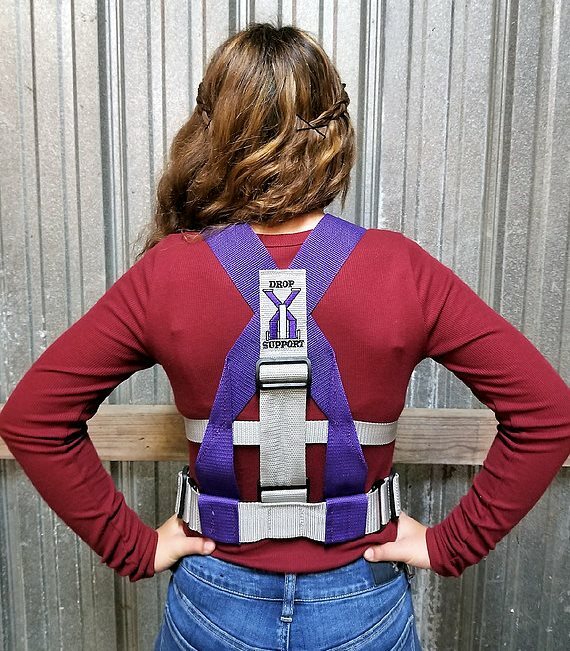 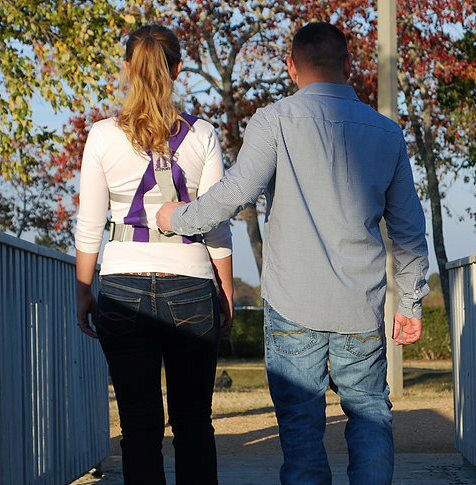 The Drop Support Harness for Boys & Girls features a vertical support handle located on the back, that runs the length of the torso instead of horizontal like a standard gait belt. 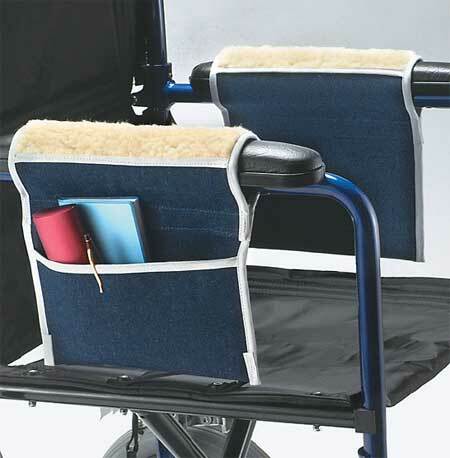 This added support allows the assistant to provide a better way for supporting the user when walking. 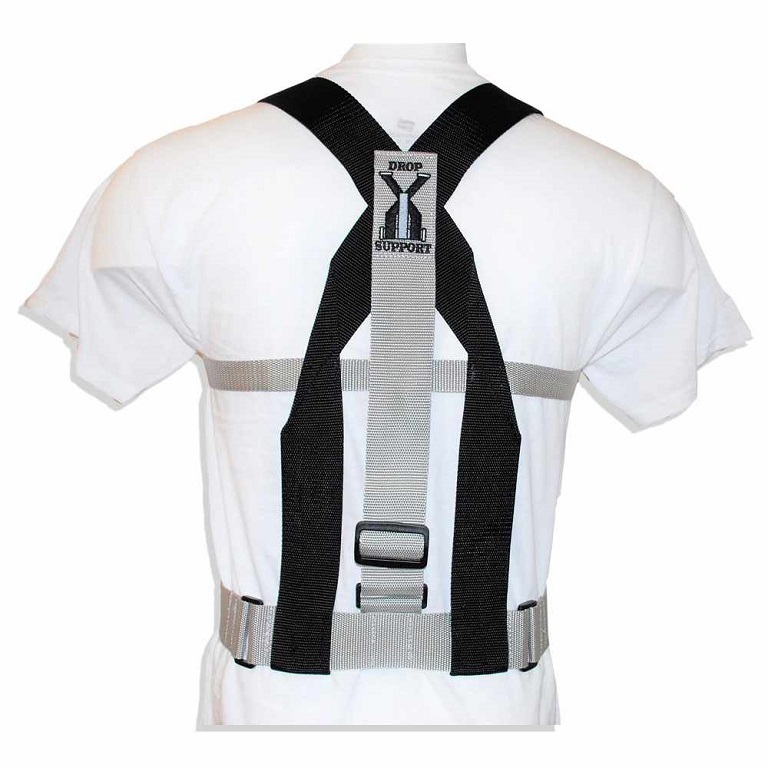 Additional support straps over the shoulders and chest area also allow the assistant to better manage and stop forward falls. 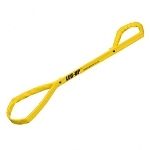 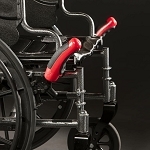 The support handle sits higher on the wearer’s back so that it is more accessible. 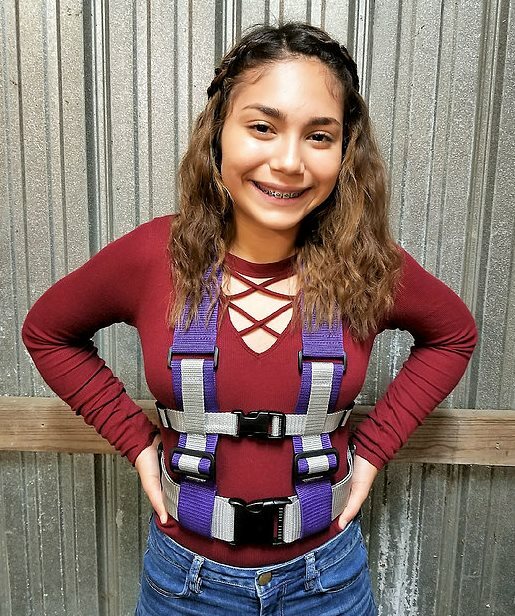 The Drop Support Harness for Boys & Girls is available in a Small size and a Large size, and is designed to fit boys and girls. 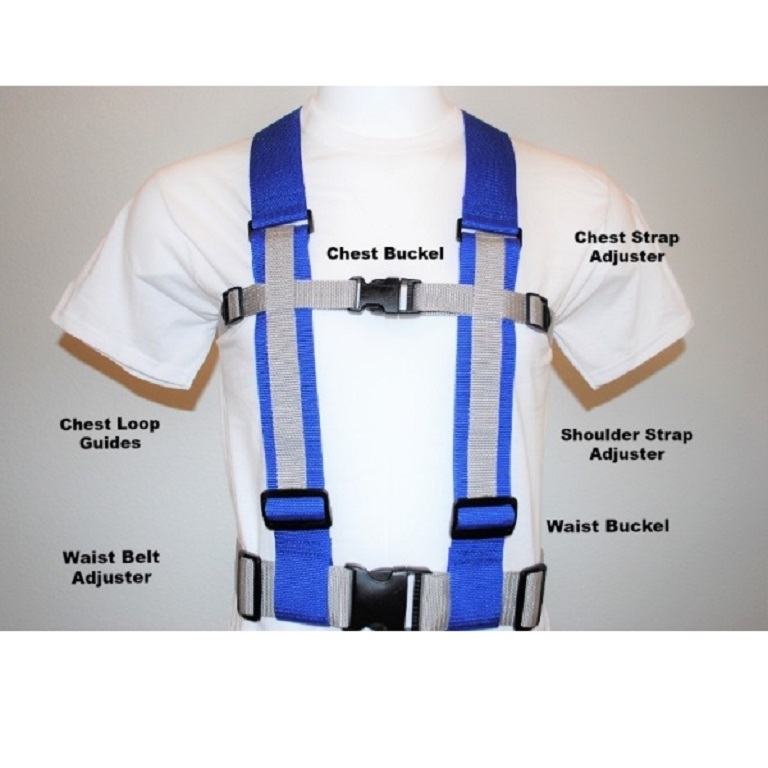 Small size fits chest 24 to 35 inches, waist 25 to 29 inches, and height 4 to 5 feet. 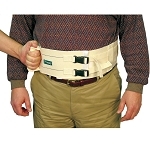 The Large size fits chest 24 to 35 inches, waist 29 to 36 inches, and height 4 to 5 feet. 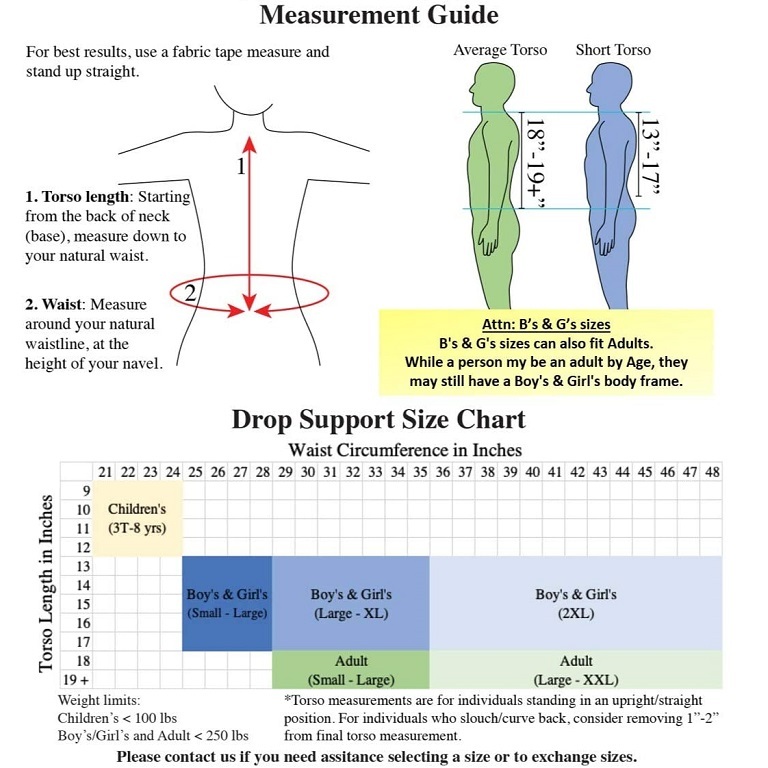 See Drop Support Sizing Chart image for guidelines for measuring.